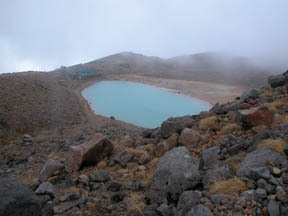 The hot spring at altitude 1800 and the foot of Mt. Ontake. 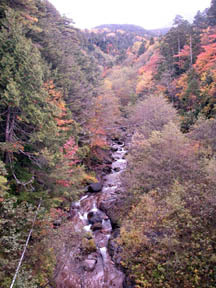 Red leaves are a nigorigo river at the beginning of an October, and Mt. Ontake soon. 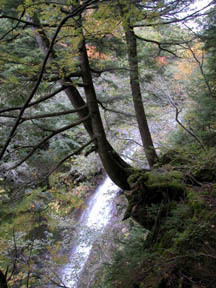 From a hermit waterfall and the Mt. 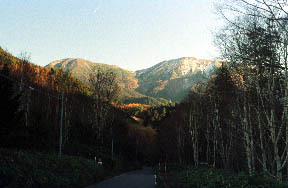 Ontake mountain trail. When the stairs of Mt. 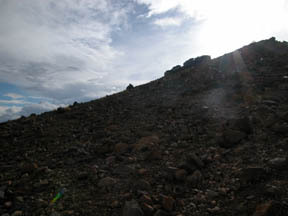 Ontake, 3068.4 m Kenga-mine, and the hut side of a mountain ascetic are gone up, they are the summit of the mountain and Mitake-shrine Okumiya. The caldera under Kenga-mine, 2 ponds.